Martín founded Noche Flamenca. He studied with Ciro, Paco Romero, El Güito, Manolete and Alejandro Granados. He has performed throughout Spain, Japan and North and South America, appearing with María Benitez’s Teatro Flamenco, the Lincoln Center Festival of the Arts and Paco Romero’s Ballet Español. He also appeared in Julie Taymor’s Juan Darien at Lincoln Center. He choreographed and performed in Eduardo Machado’s Deep Song, directed by Lynne Taylor- Corbett. He choreographed a production of Romeo and Juliet at the Denver Theater Center. He has directed and choreographed Bodas de Sangre, The Lower Depths, La Celestina, A Streetcar Named Desire, amongst many other productions in Spain and Buenos Aires. He has collaborated with many, many artists, but his most fulfilling collaboration has been with his wife, Soledad Barrio and his two wild daughters, Gabriela and Stella. Soledad Barrio was born in Madrid. She is a founding member of Noche Flamenca with her husband Martín Santangelo. Ms. Barrio has appeared as a soloist with Manuela Vargas, Blanca del Rey, Luisillo, El Gúito, Manolete, Cristobal Reyes, and El Toleo, Ballet Español de Paco Romero, Festival Flamenco and many other companies. She has performed throughout Europe, Japan and North and South America with such artists as Alejandro Granados, El Torombo, Isabel Bayón, Jesus Torres, Miguel Perez, Belen Maya, Manolo Marín, Javier Barón, Merce Esmeralda, Rafael Campallo, Belen Maya, etc. She is a resident teaching artist at NYU Tisch School of the Arts, Drama. Ms. Barrio has won awards from over 15 countries for her excellence in dance, including a "Bessie" award for Outstanding Creative Achievement and a 2015 Dance Magazine Exceptional Artist award. Juan Ogalla was born in Cadiz. He began as a professional at the very young age of fifteen. He was a member of the Company Manuel Morao, lead dancer in the company of Cristina Hoyos, Manuela Carrasco, Company of María Pages and many others. He also participated in the following festivals: Festival International de Mont-de-Marsan, Festival de Musica y Danza de Granada, Festival Flamenco de Mahon, and Festival Querencias en Ceret. Juan has performed in all the tablaos in Spain as Casa Patas, El Arenal, Los Gallos, as well as in many theaters in Europe, Japan and U.S.A. as a soloist. Juan is one of the outstanding dancers of his generation. Eugenio Iglesias began playing professionally at a very young age where he worked in all the major tablaos in Sevilla. He began touring with various companies and has accompanied dancers such as Antonio Canales, Farruco, Farruquito, El Güito, La Tona, Javier Barón, Sara Baras, Manuela Carrasco, Israel Galván, Mario Maya, and Angelita Vargas. He also accompanied some of the greatest flamenco singers in Spain including Lole Montoya, La Negra, Chiquetete, La Susi, Carmen Montoya, Juan Villar and El Potito. Salva De María is the grandson of the legendary singer Antonio “La Chaqueta”. He began with Ballet Español de María Rosa where he accompanied such singers as Carmen Linares, José Mercé, Vicente Soto "Sordera," and Chaquetón. He has worked with Mayte Martín, La Chana, Ginesa Ortega, and Carmina Cortes. Since 2001, he has worked with guitarist Chicuelo, Miguel Poveda, "La Susi", Israel Galván, Javier Latorre and "Duquende". 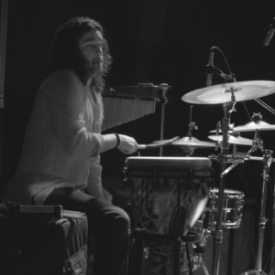 David 'Chupete' Rodriguez was born in the town of Osuna in Sevilla, Spain, and began to study music early in life by performing as a flamenco percussionist. During this time, he accompanied his brother, the dancer Antonio 'El Chupete'. David studied in Sevilla at the conservatory in Triana and received his degree at the University of Seville in Music Education, with specialties in Musical Aesthetics and Theory. He also received degrees in Contemporary Music from Central Theatre at the University of Seville. He has toured North America extensively, including New York, Los Angeles, San Francisco, Miami, Montreal, Toronto, Vancouver, and Philadelphia with Noche Flamenca. Manuel Gago was born in Cádiz to a family of flamenco singers and began singing at the age of five. By fourteen, he was singing in flamenco festivals with such well-known singers as Juan Villar, Charo Lobato and Rancapino. Later, he began singing for dancers, including Joaquín Cortés, Sara Baras, Rafaela Carrasco, Belén Maya, El Güito, Manolete, Javier Barón and Cristóbal Reyes. Manuel has traveled the world, singing throughout Europe, Asia, North and South America. Emilio Florido was born in Cadiz, Spain. He began singing at a young age and performed professionally all over Spain as a solo singer. He has accompanied such dancers as Adrián Galia, Domingo Ortega, Luís Ortega, Belén Maya, Yolanda Heredia, Miguel Ángel Espino, among others. He has worked with the companies of Cristina Hoyos, El ballet de Madrid and La Raza. He has toured extensively in Japan, Europe, North and South America. Marina began training in Spanish classical dance and flamenco at a young age. She has studied in Sevilla and Madrid with artists such as Yolanda Heredia, Belén Maya, Isabel Bayón & Soledad Barrio. Marina has been a company member of Soledad Barrio & Noche Flamenca since 2012 and has toured both nationally and internationally with the company. Marina has performed and presented her choreography in the New York International Fringe Festival, the 2015 Queensboro Dance Festival, and the 2016 Inside/Out Festival at Jacob's Pillow Dance. Hamed Traore is a guitarist/multi-instrumentalist from New York City. Born of West African parents, he was exposed to West African rhythms and instrumentation at an early age. At the age of fourteen, he began to formally play the guitar alongside the bass and has performed in New York City venues such The Bitter End, Sullivan Hall, Arlene’s Grocery, and Rockwood Music Hall. He also instructs yearlong ensembles at The Beacon School. He has composed music for some of Noche Flamenca’s productions, including Antigona. He is recent graduate of Purchase College (SUNY), with a degree in studio production and audio engineering. Carmina Cortes was born in Barcelona to Andalusian parents, she began to work with a wide range of flamenco dance companies touring through European and Arabic countries by the age of 17. Later, she began to sing in the renowned tablaos of Barcelona, El Cordobes and El Tablao del Carmen. During this time she collaborated with such a great flamenco artists as Mayte Martín, Israel Galván, Belén Maya, Montse Cortés, and Miguel Poveda, among others. She later moved to Madrid and started to work with Carmen Cortes and Gerardo Nuñez. In recent years, she has been touring around the world with flamenco companies such as Joaquín Ruiz and Rafael Amargo, while also singing in flamenco recitals and collaborating in discography with “Flamenco Kids,” Rafael Amargo's “Tiempo Muerto,” Flavio Rodríguez's “Anyway,” Joaquín Ruiz's “Mar de Tierras,” and in the works of Rubén Maldonado, among others flamenco artists. Pepe 'El Bocadillo' was born in Madrid in a gipsy family where has give such a flamenco stars as Rafael Farina and Diego el Cigala. At the age of 14 years old he began to sign in prestigious tablaos from Madrid as “Corral de la Morería”, “Café de Chinitas”, “Torres Bermejas”, “Casa Patas” and “Las Carboneras”. Afterward he began to work with a wide range of flamenco dance companies touring through European and Arabic countries. 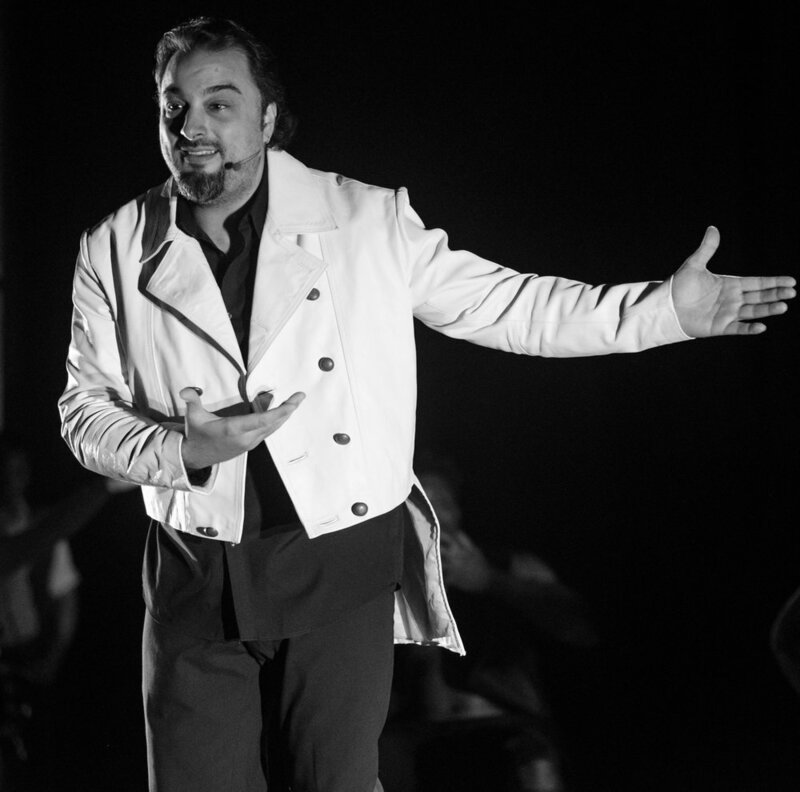 He has performed with companies as Manolete, Cristina Hoyos, Belén Maya, Rafaela Carrasco, Javier Barón, Joaquín Cortés, Antonio Canales, Manuela Carrasco, Eva la Yerbabuena, Antonio y Manuel Reyes, José Maya, Alfonso Losa, Rocio Molina, Farruquito, Isabel Bayón. Mayte Maya was born in Sacromonte, Grenada, was born into a flamenco dynasty who have been dedicated to the art of flamenco since the 1800's. Mayte is the daughter of dancer Granadino Bienvenido Maya "El Bienve" and the singer María "La Coneja. At the early age of 4 years old, Mayte took her first artistic steps in the tablao “El Flamenco de Godaimas." She went on to sing at the most important tablaos in Spain, such as Bermejas Cafe de Chinitas, Corral de la Pacheca, and Casa Patas, amongst many others. Mayte has worked with a large cannon of artists including Juan Ramirez, Manolo Sanlucar, Joselillo Romero, Juan Andres Maya, Antonio Canales, Ray Heredia and many more. Mayte has worked in numerous flamenco companies, including the company of Rafael Amargo. She collaborated with Manolo Sanlucar to create the album "Tauromaquia."